Twitter will remove images of deceased if family members make requests. Ninety-nine percent of organic social media posts lead to no engagement. These stories, and more, in today's Morning Social Media Newsfeed. 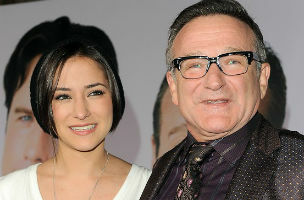 Twitter said on Tuesday it will remove images of deceased individuals at the request of family members, a move that comes a week after Robin Williams’s daughter said she is quitting the platform after being sent disturbing photo-shopped images of her father’s death. “In order to respect the wishes of loved ones, Twitter will remove imagery of deceased individuals in certain circumstances,” said a statement tweeted by Twitter spokesman Nu Wexler on Tuesday. The Next Web Immediate family members or other authorized individuals have to send an email to privacy@twitter.com to request the removal of media. CNET Twitter said that while reviewing removal requests, it will take in to account public interest factors such as the newsworthiness of the content and may not honor all requests. Reuters Facebook also allows verified immediate family members to request the removal of a deceased person’s Facebook account. PC World The move also comes as Twitter tried to delete images and video depicting the death of U.S. photojournalist James Foley, who was apparently killed by the militant group Islamic State, better known as ISIS. Women have been the target of threats an abuse on Twitter, and critics have urged the company to change its Twitter Rules. A year ago, it introduced an ”in-tweet” abuse button to report violations. A new study that takes in data from 1.6 million organic (nonpaid) social posts from Twitter, Facebook and Google+ has found that 99 percent of those updates create little to no engagement at all. Social media optimization platform SocialFlow conducted the study between April 1 and July 31. In total, the organic social posts it analyzed reached more than 361 million unique users and generated nearly 1.5 billion social actions. A new service, named Snapchat Discovery, is set to launch in November, offering users advertisements from brands and content from magazines, newspapers and TV networks, according to a report from The Wall Street Journal. Among the dozen or so companies currently signed up to the scheme is MailOnline, the online version of the U.K.’s Daily Mail (and the most visited newspaper website in the world). At a time when just about everyone and their mother — father, grandmother and aunt — is intent on publicizing the newest generation’s early years on social media sites, an increasing number of parents like Sonia Rao are bucking the trend by consciously keeping their children’s photos, names and entire identities off the Internet. Reasons for the baby blackout vary. A new study reveals that just one-third of executives are confident that they can accurately measure the effect of company social media use. This data comes courtesy of Useful Social Media via their “The State Of Corporate Social Media 2014″ report, which discovered that 66.5 percent of corporate executives worldwide felt unable to measure the ROI of platforms such as Twitter, Facebook, Instagram and Google+. Google is about to be as annoying as a Limited Too on a Saturday afternoon. The company is reportedly mulling offering accounts to kids under 13 years old, a move that needs to be intricately done so it doesn’t violate U.S. laws.